I love Ravelry for many reasons. I especially love that it is home to more than 150,000 free patterns available for download to its members. I also love that the membership is free and that you can filter patterns by so many different categories (type of yarn, crochet vs. knit, difficulty, etc.). It’s the perfect go-to place for patterns. If you’re absolutely very brand new to Ravelry, you will need to create an account before you can log in. Creating an account is very easy – just click on the “Join now!” button on the Ravelry home page! Once you do, you will need to enter your email address. Ravelry will use this email address to send you a sign-up link. This helps to verify that your email is valid. After you click on the sign-link in the email message from Ravelry, you will need to create a username and a password. And once you’ve done that, voila! 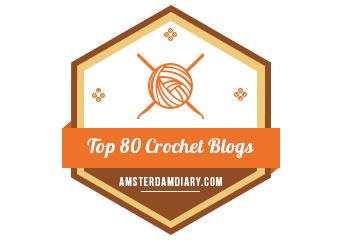 You’ve just gained access to one of the largest online crochet and knitting communities! Congrats! Once you’ve created an account, you can do lots of fun things. You can view the Ravelry welcome video, search for patterns, get more information on different types of yarn, or even begin adding your own projects and patterns. At the top of the page is the Ravelry navigation bar. Looking for a new pattern? Click on the “patterns” tab! Need some information on a certain kind of yarn your great-aunt’s neighbor gave you? Click on the “yarns” tab! Have a question you’re just itching to know the answer to? Check out the Ravelry forums by clicking on the “forums” tab! From here, you can see which Ravelry groups you belong to, check your messages, items you’ve marked as your favorites, view/edit/add your own projects, and so much more. 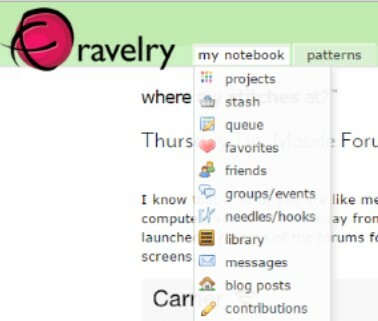 If you’re wanting to develop your own patterns and projects, you will love using the “my notebook” section of Ravelry! Ravelry’s vast pattern library is one of the most-frequented sections of the website. To begin, click on the “patterns” tab of the navigation bar at the top of the page. Clicking on the “patterns” tab will take you to the main patterns page. From here, you can either do a basic word search for a pattern (e.g. “crochet baby booties”) OR you can do an advanced pattern search. Entering search terms into the box is a great way to search for something you know you want. If you want to search for rainbow scarf patterns, there’s no easier way than that. But what if you want to search for a pattern that uses a size crochet hook that you actually have, or for a pattern that will fit a preemie? What if you only have a certain amount of yardage to work with? Then the advanced search is for you! When you click on the link for the advanced search, you will be taken to an new search page. Several search filters are listed vertically along the left-hand side of the page. Furthermore, you can sort your search results by many different options, such as best match, name, most favorites, difficulty, rating, and so on. Like the search you just made? You can save it and use that same search again at another time! Just click on the “save search” link at the top-left of the page (above the search filters). When I’m in need of a new pattern, I jump at the chance to search on Ravelry. It’s easy, it’s fun, and I always get results!